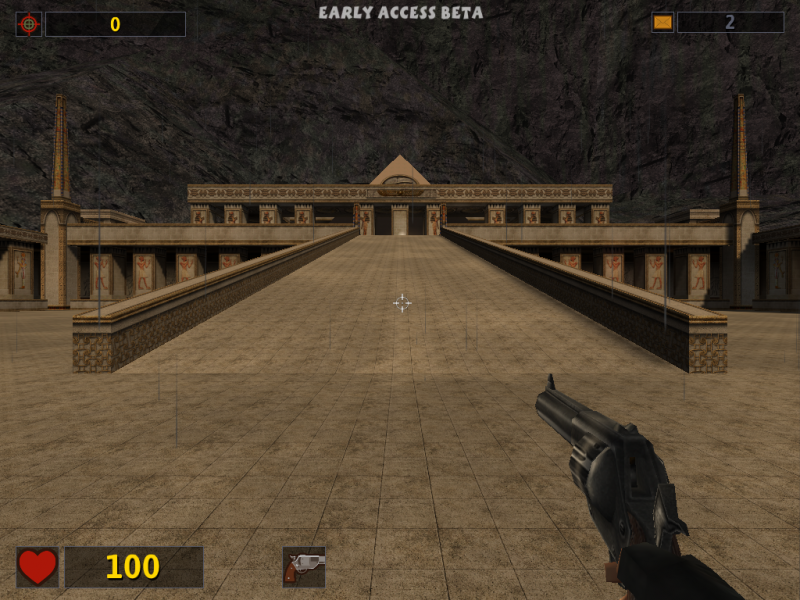 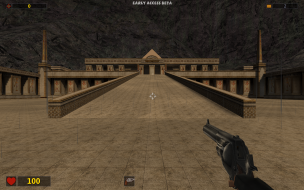 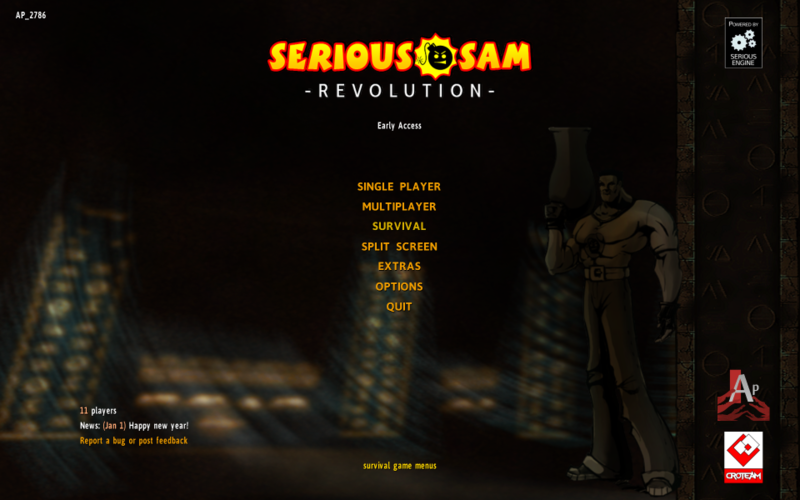 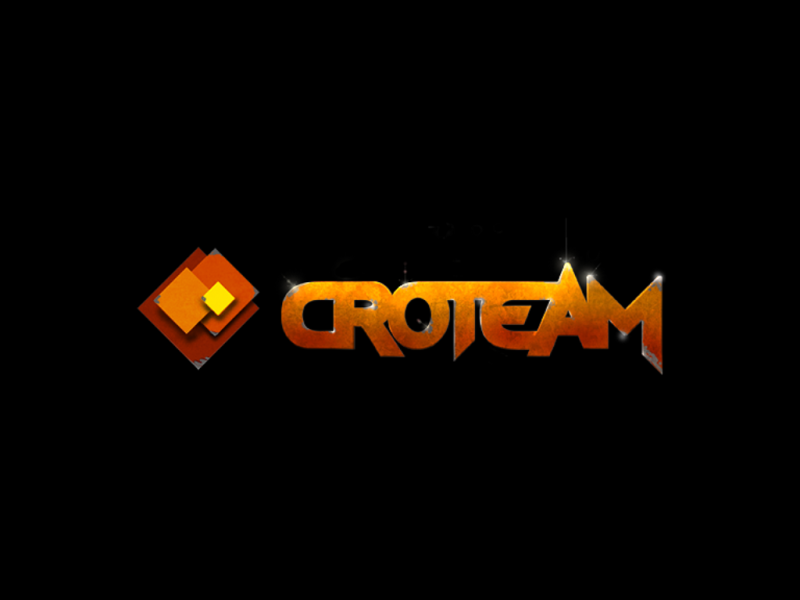 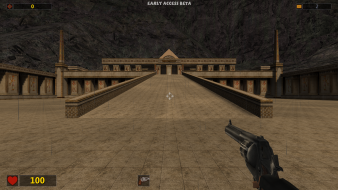 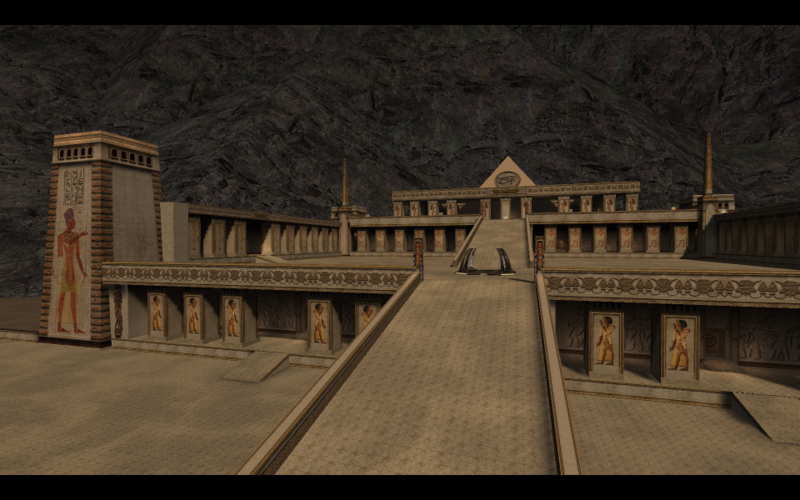 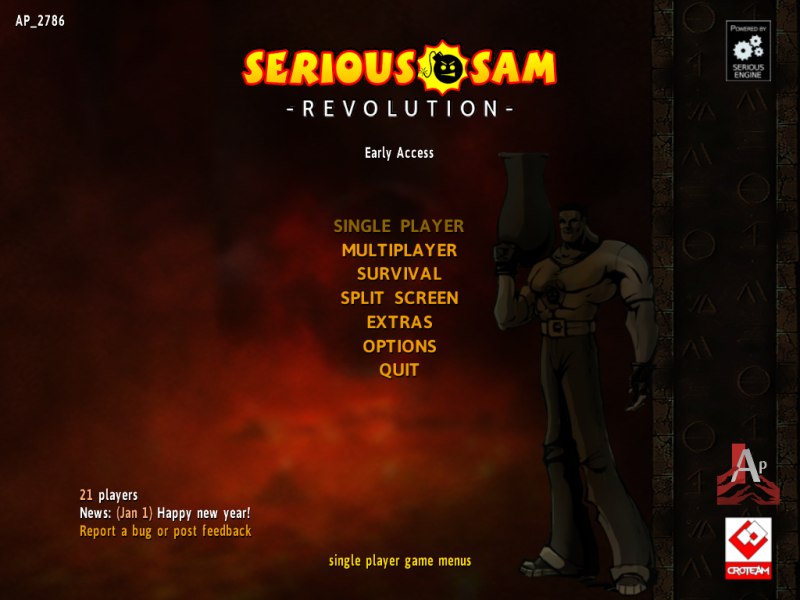 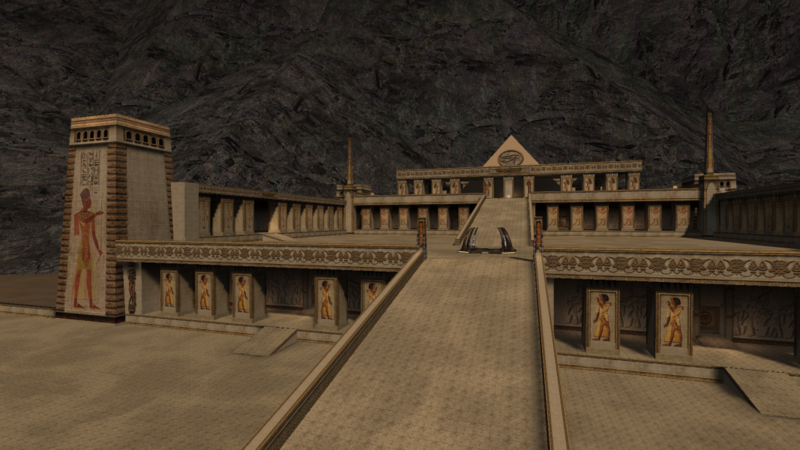 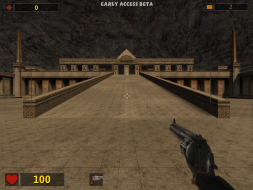 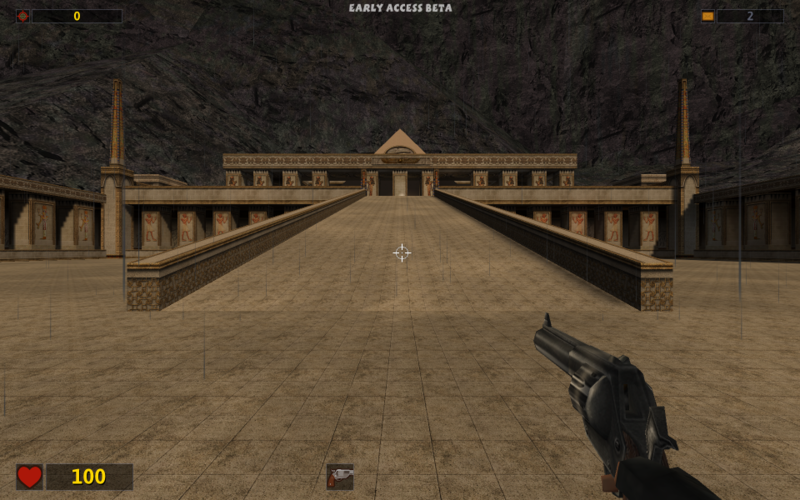 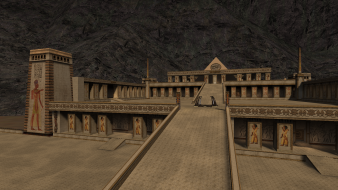 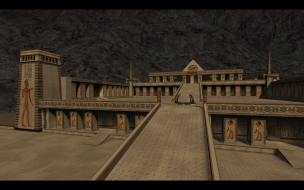 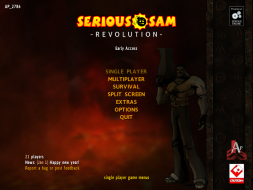 Revamped combination of Serious Sam: The First Encounter and Serious Sam: The Second Encounter. Native support. 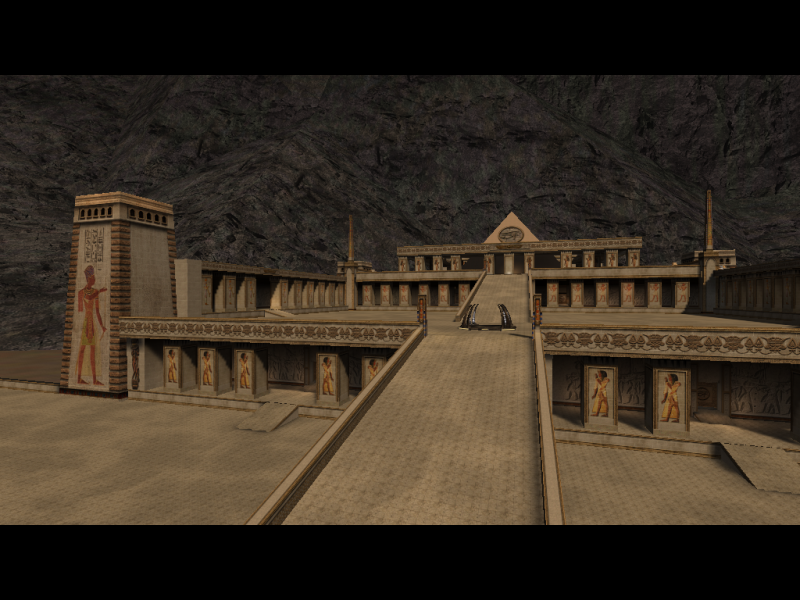 Pre-rendered cutscenes are slightly Vert- while in-engine cutscenes are letterboxed 16:9. 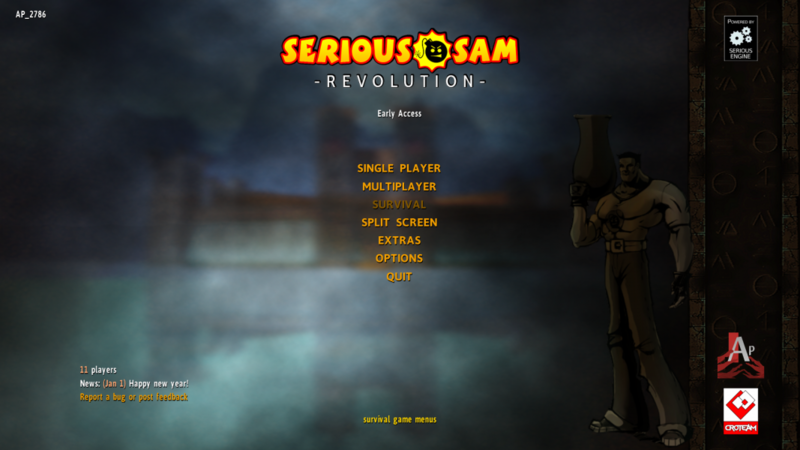 16:9 and wider aspect ratios show a console message at the top of the screen when first loading a cutscene or level. 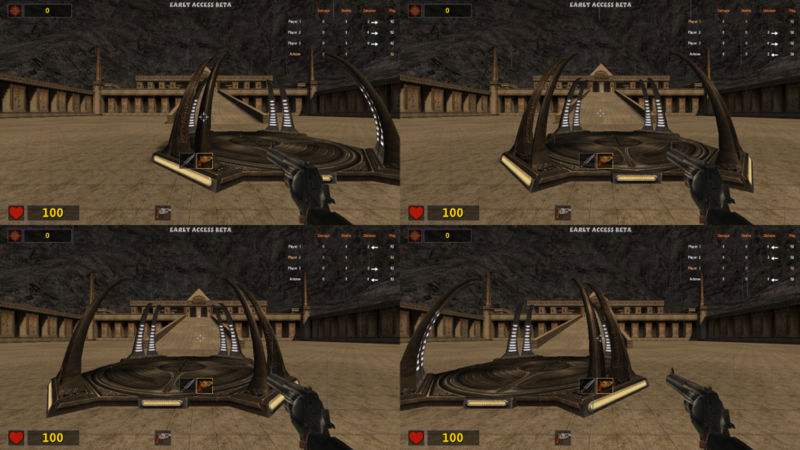 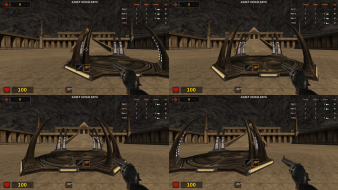 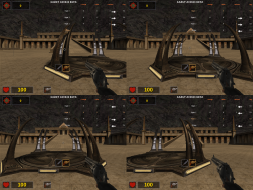 Splitscreen mode splits the screen horizontally (two players) or horizontally and vertically (three or four players). All cutscenes are Vert-. 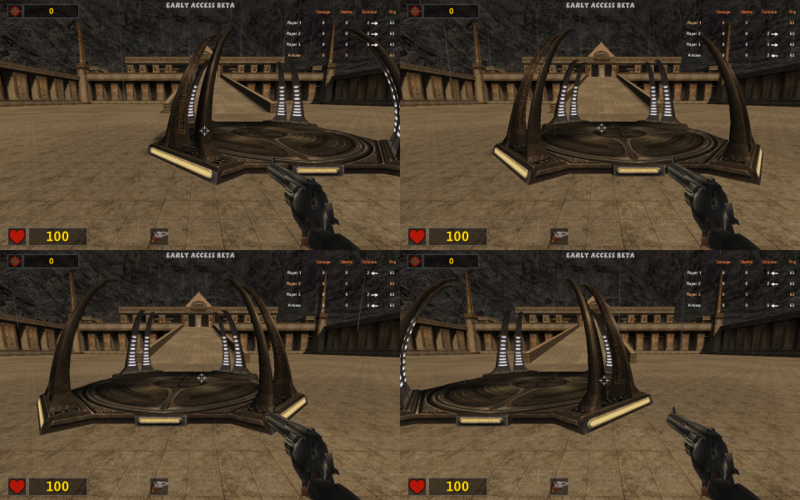 The reticle is slightly larger than when using normal widescreen resolutions. 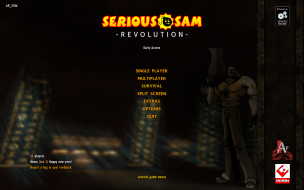 All cutscenes are Vert-. 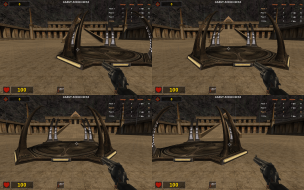 The reticle is far too big (a different reticle can be selected in the profile settings). 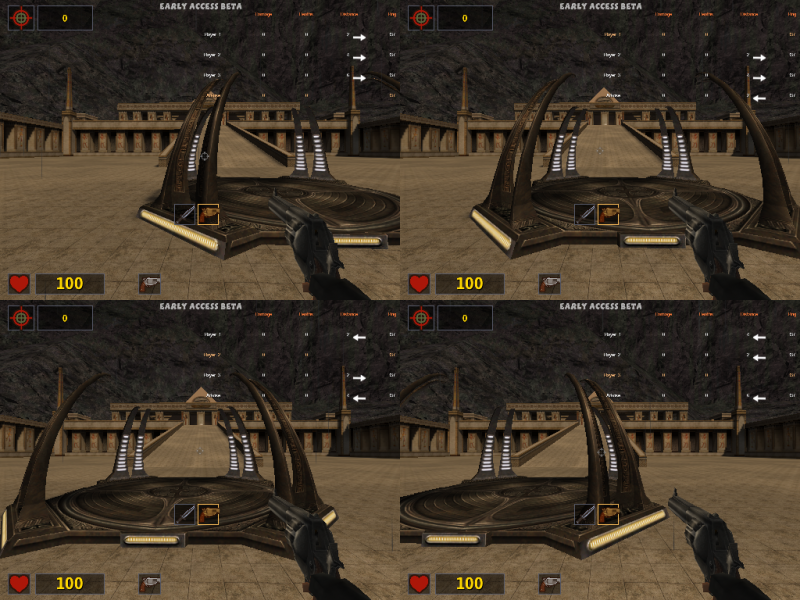 The player's weapon is held much further away with the end of the arm model visible.